Here, you will find useful information on funding, transport and accessing student support. 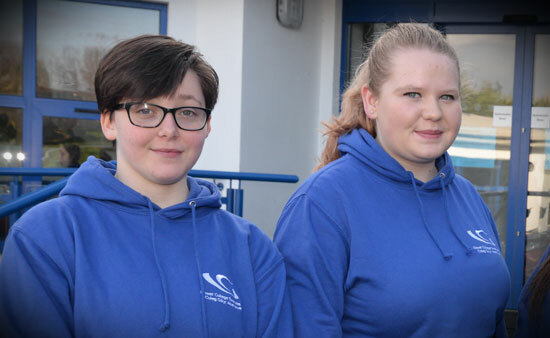 Did you know that, as a student at Gower College Swansea, you also have opportunities to get involved in extra-curricular events / activities including charity work, enterprise projects, the Student Council and sport? Funding can be complicated and there’s a lot to get your head around. Hopefully the information below will give you all the information you need. If you are a UK or EU citizen who will be studying further education at the college on a full time basis (15+ hours a week) then you do not need to pay tuition fees, however all full-time students will need to pay a one-off registration fee upon joining the college. On some courses, e.g. hairdressing, catering or arts, there may be additional costs for specialist equipment or clothing. Details will be given during the application and enrolment process. If you are joining the college on a part time basis, you will be required to pay tuition fees. It is recommended that you seek guidance from your course co-ordinator before enrolling to ensure you have all of the information about fees involved in your chosen course. For example, students studying a professional qualification run by a chartered organisation will be required to pay a fee for each exam they undertake, so it's best to get all the facts before making your decision. For individual course fees of £100 or more, you can apply to pay in instalments (a £10 administration fee is charged for this). There are tuition fees for International students. Am I eligible for any financial support? At the college we understand that everyone's circumstances are different, so we aim to make it as easy as possible for people to study their chosen course, even if this means you may have to find some additional funds to cover costs for equipment or learning materials. There is a range of financial assistance available for students studying at the college. An EMA grant can help with course costs including books, travel or equipment. For more information, visit the EMA website or contact the college at Tycoch on 01792 284000 or Gorseinon on 01792 890700. The FCF is a hardship fund that is open to all full time students. The fund can help to support essential course related costs such as course equipment, childcare, CRB checks and transport. The FCF is means tested on household income. To apply you need to complete an application form. Funds are allocated on a first come, first served basis. You will need to provide proof of household income and if applicable, proof of your residential status. An WGLG is a grant paid termly to students aged 19 years or over studying full time or part time courses. The WGLG can help students with course costs including books, travel or equipment. Apply for WGLG. Finding all of the funds to cover part time tuition fees can sometimes be tricky too, so we offer a number of different options for students to access funding that will support them along the way. Some courses have discounts available for learners in receipt of the following benefits: Income Support; Working Tax Credit; Job Seekers Allowance; Incapacity Benefit; Severe Disablement Benefit; Pension Credits; Council Tax Benefit; Housing Benefit. Proof of benefits must be shown at enrolment. Discounts are also available to UK or EU learners under the age of 19 or students still in full time education. However, students will not be entitled to this discount if they are already studying the same course at another education institution. What other funding streams are available? The Redundancy Action Scheme II (ReAct II) is a programme of funding for training provided by the Welsh Government for people living in Wales who are facing redundancy. This is an initiative of the Ministry of Defence to promote lifelong learning among members of the Armed Forces. The Skills for Industry project assists employers and enterprises in adapting to economic change by raising the skills levels and qualifications of their employees. Do I need to pay for a DBS check? At interview you will have been told if you need a DBS check (previously CRB) to go out on a structured work placement as part of your course. The check will cost £44, this is subject to change (you can apply for FCF funding to cover the cost.) If you do not have a DBS check you won't be able to complete your course. Full time students are currently offered a subsidised bus pass. At Tycoch, Kingsway and Llwyn y Bryn students can purchase a First Cymru Bus Pass. 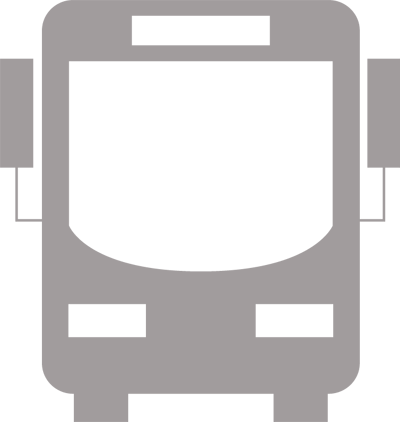 This pass can be used to get to and from college and can also be used on evenings and weekends in the Swansea and Neath area on First Cymru buses. Explore potential careers and plan your future! Student services is the first contact point for information, support and advice on anything from careers advice to financial assistance. 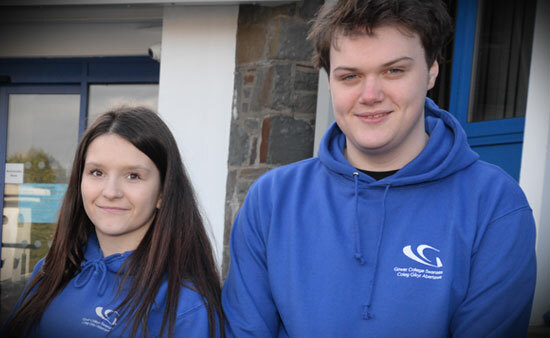 Our specialist student support staff are available at Llwyn y Bryn, Tycoch and Gorseinon campuses. Gower College Swansea aims to be a bilingual college, with the Welsh language and culture central to the college ethos. We promote Welsh and bilingual learning and encourage our students to use their Welsh. All students have a voice and the Student Council makes sure that they are heard. Each course appoints a student rep to raise academic enquiries, concerns or issues with the council. You’ll gain skills such as organising, debating, communicating, campaigning and much more! You can also apply to become a Student Governor and sit on the Board of Governors, providing a student perspective on issues discussed by the College’s governing body. Since 2003, we’ve been building links between our students and those at Madungu Primary School in Western Kenya. The fantastic fundraising efforts of our students mean that these underprivileged young people have opportunities to learn, gain qualifications and enjoy a brighter future. You may have the chance to travel to Kenya to experience first-hand just how important the fundraising is to the school. We’re committed to making elite and recreational sport fully accessible to you without impacting on your studies. You’ll have access to some of Wales’ best sports training facilities, including the use of specialist sport technology and fitness equipment. View the Sports Academies page. Develop your skills for the workplace or running your own business. As a Student Enterprise Champion you’ll be involved with organising enterprise events and will get the chance to mentor young people in enterprise education across Swansea. Have fun, make new friends, develop business contacts and enjoy a variety of trips. What is the Sport Scholarship programme? Our sports scholarship programme provides financial and holistic support to students who demonstrate exceptional ability within one of our academy sports (rugby, football, netball and cricket). As a sports scholar at Gower College Swansea, you will act as a role model to your peer group and support the academy coaches to deliver a high class sports programme. Scholars will be expected to support the college recruitment activity and attend open evenings. Applications close on 1 June with decisions made by the panel by 1 July. Any student can apply for a sports scholarship as long as they can provide proof that they are able to secure a place on one of our full time courses and sports academies. To retain your scholarship funding you must attend classes regularly and continue to achieve academically throughout your college career. Please note: you do not have to apply for a course in the same field as your particular skills [e.g. you can play football and study engineering or A Levels). What is the Sports Bursary programme? In addition to the sports scholarships available to talented athletes, our sport bursary programme provides further benefits including funding support for competition, training and lifestyle expenses, and free access to Gower College Swansea’s gym facilities. The bursary amounts are awarded on a ‘case by case’ basis until the fund is exhausted. A mentor will be available to students in receipt of bursaries for advice and guidance throughout. Applications for bursaries open on 1 September. Any student can apply for a bursary as long they can provide proof that they are able to secure a place on one of our full time courses. All potential candidates must compete in an Association of Colleges (AoC) sport in which the college has an affiliation and/or a recognised Olympic discipline. Applications outside these parameters will not be considered. Get involved and play an important role in your college. 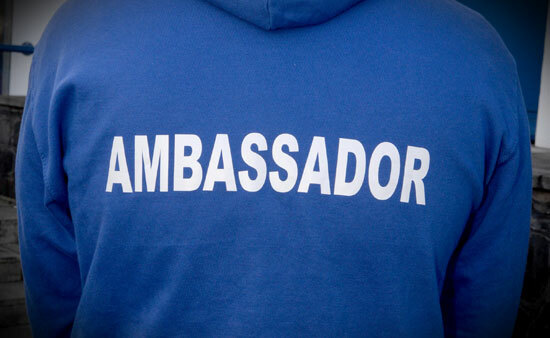 Being a Student Ambassador is enjoyable and interesting, you’ll get to meet loads of new people and develop new skills. It will also look great on your CV! Some students are faced with situations outside of college that they need support with - circumstances that are beyond their control. We’ve got designated support officers that can help.